The exhibition will feature 8 collections of work by 8 illustrious Singagapore-based photographers, which includes KC Eng. Laxmi Kaul, Andrew Lum, Francisco Martin, Justin Ong, Eric Sawotoski, Marc Tan and Yuey Tan + Claire Jedrek, each with their own unique style and subject, all captured on Leica cameras. Join us for a soiree of imaginative narrative, transverse through cultures, continents and see the world through the eyes and hearts of these dedicated individuals; hear the compelling stories they have to share. Exhibition dates are 7 October to 15 October 2017. *Admission to photography talks are complimentary and limited to 40pax per session. 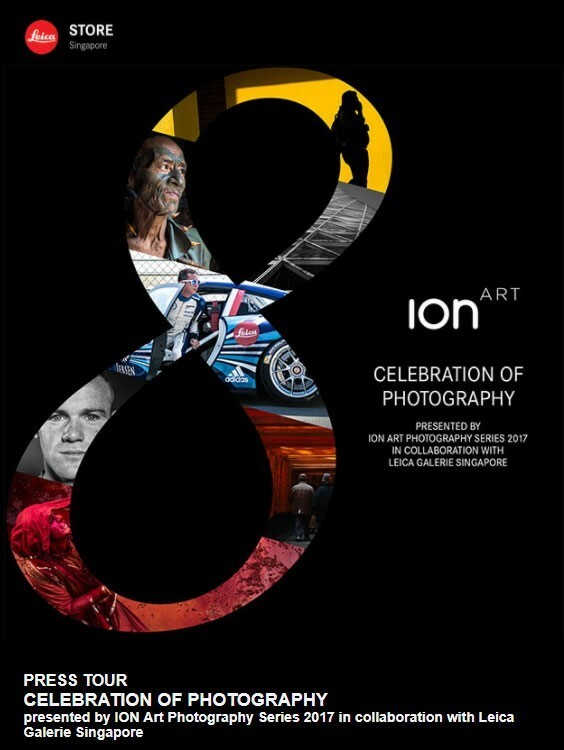 Visitors can register via a QR code at ION Art gallery, visit Leica Store Singapore at ION Orchard or Facebook online.